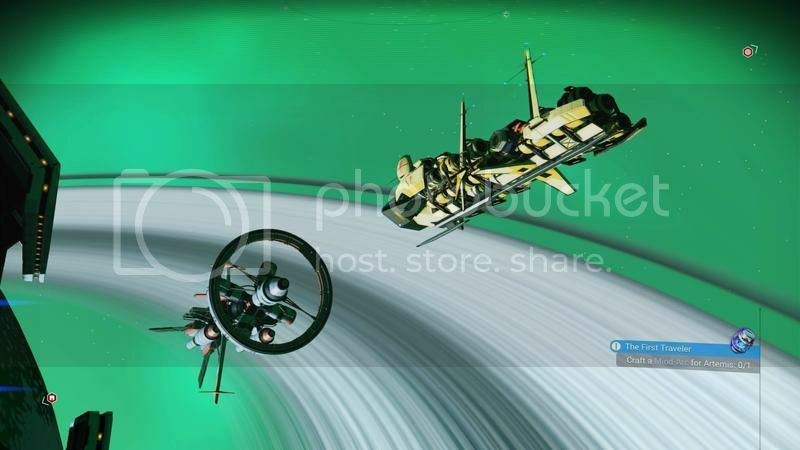 I was on playing with a friend last night and learned the hard way that you can only have one freighter. I warped into an old system for a courier mission and found another freighter under attack. I helped it out, and was once again offered ownership of the freighter. I was excited, and accepted it on the spot, and immediately after the thought struck me that I may not be able to own to freighters. So, I checked my inventory screen, and my hindsight was correct. So not only do I now have a freighter that isn't as good as my old one, but I also lost all the items I had stored in the old freighter. And I don't like the design as much. Darn. It does in other instances, but I didn’t see it that time. It’s alright, I didn’t really have anything irreplaceable, though I still much preferred the design of my old freighter. It was somewhat reminiscent of a Star Destroyer, and I liked that. I've been playing quite a bit still. Trying to get as much in as I can as the semester starts next week. Mostly I've been advancing the stories. I checked some spoilers for the center of the galaxy mission, and once I learned what it was I decided I wasn't going to do it, at least not for a while. The other two story quests appear to be much more complex and in-depth. I progressed the Awakening story quite a bit, but now need to build a base to progress it further. I'm searching for a planet I like still, but I'm beginning to think there are no longer any planets that don't have environmental hazards. All the temperate seeming worlds I find now have frequent super-heated rainstorms. I'm kind of kicking myself now for not building a base on a desert moon I was on a while back as it only really had freezing night temperatures (which weren't bad all things considered). I unfortunately don't remember what system it was, so I'm not sure I could find it even if I wanted to. I remember it was a Gek controlled system, but that's it. While I'm searching for a planet I'd like to build a base on, I've decided to continue with the Atlas Path story. I'm about two systems away from the next Atlas station. Regardless, my friend and I tried to build a base on a tropical planet by putting it underground. It didn't work as it wouldn't let me place a building once we'd mined out a large cavern and evened the terrain up a bit. And it revealed some crazy clipping glitches. I'd run up against a wall and suddenly find myself on the ground outside the cavern. At least I didn't clip through the planet into open space, I guess. After that failed, we searched the planet for a large cave to see if we could build a base inside it, but couldn't find one large enough. In the meantime, I'm trying to build a fleet! I have my less-cool freighter, and one S-class industrial frigate at the moment. Sending the frigate out on missions has been a great way to get money, and the game doesn't have to be on in order for it to do its thing. I typically get about 250,000 or so per mission, and so I've gotten some good money. Despite that, whenever I find a frigate I want it seems like I always have too little to buy it! Thankfully it appears that the frigates level up when they complete missions (and maybe even if they don't complete the mission so long as they manage to make it through some of it), so if all else fails I will buy a B-class or even a C-class frigate and just level them up. In fact if I were to do it that way I could probably buy two frigates right now, so I may just go that route. They'll be more likely to fail missions and require repairs, but as they level up they'll get better at completing missions. I'm thinking I'll go with a combat frigate first as they apparently have combat support abilities in case you're attacked by pirates. Next will be a trade frigate. I'm not sure, but the name sounds like they have pretty good potential for making more money? We'll find out! Haven't updated in a bit, but I've made a lot of progress, specifically in building a base. I finally found a planet that seemed suitable. It still has some super-heated rainstorms, but they are short and infrequent, so I decided to set up shop. I'm still working on building and staffing it, but I've gone through a number of the base side missions. I'm still working on the science missions, haven't started the weapons missions. Next up is building a farming terminal, which I hope means that it won't be very long until I no longer have to go out gathering materials myself. In the meantime, I have to say that the exocrafts are incredibly fun to drive around the planet. They make it easier to go longer distances without having to get into your ship and waste launch fuel, plus they come with powerful weapons and mining lasers. 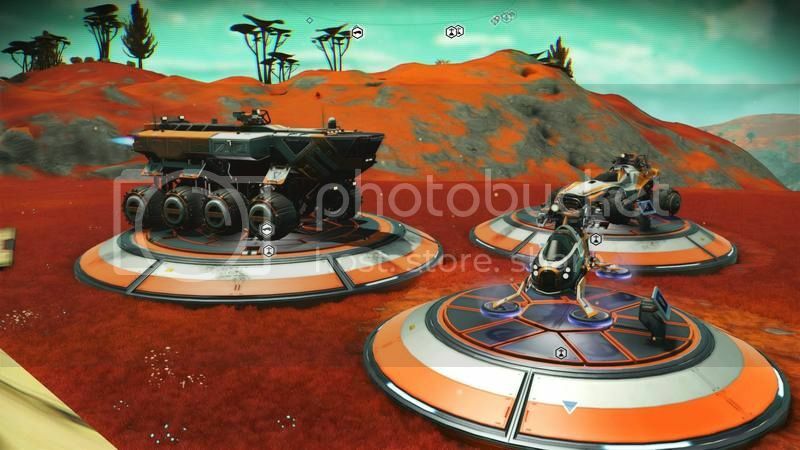 This is useful because it makes it easier for you to mine right from the exocraft though you still have to hop out and do it on foot sometimes. They also make it easier to destroy Sentinels. I had to kill a bunch to gather pugneum for the exocraft side missions. They made it a lot easier. I haven't tried yet, but now that I've upgraded the weapons, I'm going to see if I have what it takes to destroy a Sentinel walker! 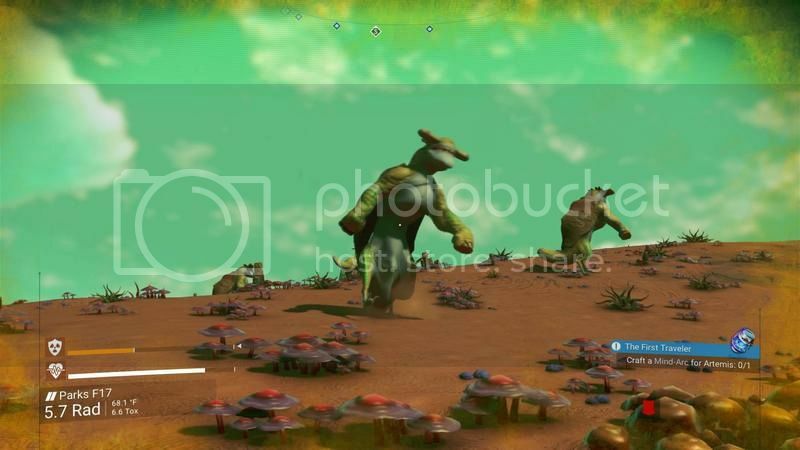 Funny enough, I found two planets that don't even have super-heated rainstorms in a neighboring system. They may have made better base planets, but if I find the super-heated storms impede my base in some way then I'll pack up and move the base to one of those planets. I'll post photos and videos soon. I went to another system to see if my frigate missions would refresh. It just so happened to be the system I needed to progress the Awakening story arc, so I did that for a while and I believe I've now found myself in a new galaxy, far from my base. I imagine I can still use a portal in a space station to get back, but if not then I really hope that it will send me back to the Euclid galaxy after I've wrapped up this story quest. The Awakening story arc is impressive. I'm not finished with it yet, but I've reached what I assume is perhaps a mid-point conclusion. It was honestly a pretty emotional roller coaster that I won't spoil here. They did an excellent job with it. I can't progress it more until I build up my ranking with the Merchant's Guild, so I've been doing a lot of missions for them. Luckily they're pretty easy to do, so it's not a much of a chore. Also, I don't know what happened, but the other night the game spawned a ton of great ships. My money was pretty low because I've been buying up frigates to increase my fleet. There were a bunch of A-Class fighters with well over 30 slots, but I didn't have enough money for them. The class doesn't add a whole lot to a ship's value, but the inventory slots do. 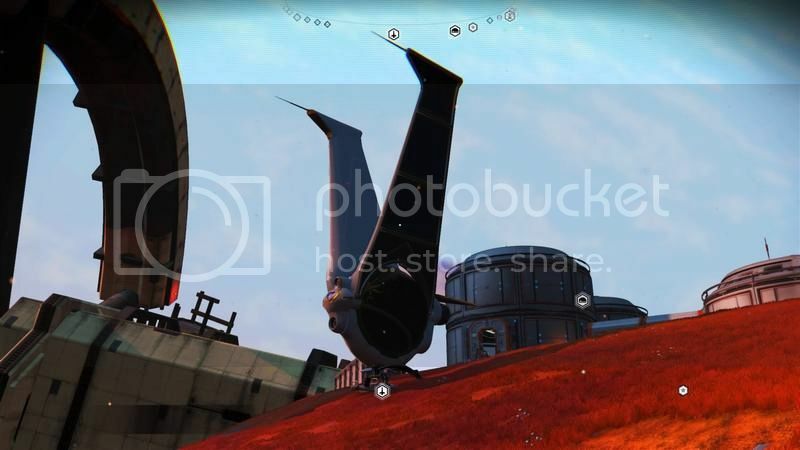 But I did find an S-class Exotic type ship, and I couldn't pass on it. I had to trade in a hauler I'd recently purchased and pay another 2 million units, but it was worth it. It only has 18 inventory slots, but I've been smarter about using them than I have with other ships in the past. 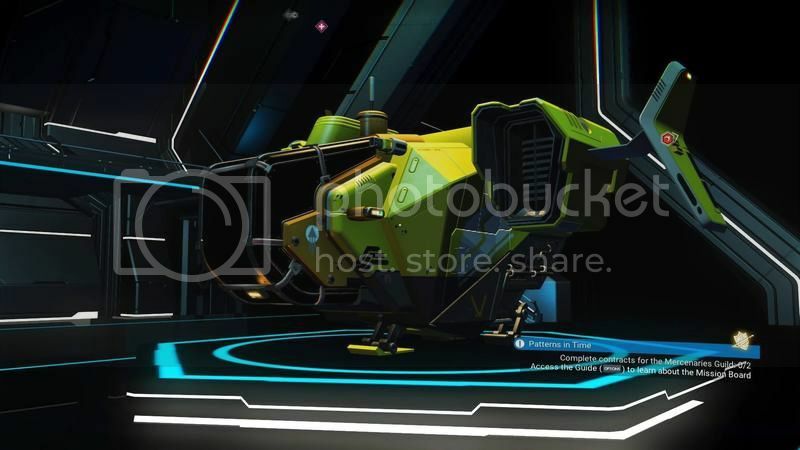 But exotic ships have all of the class bonuses of other ships, so this ship has all the maneuverability and firepower of a fighter class ship, all the shields of a hauler, and the hyperdrive of an explorer. I've been working on adding some upgrades to make it even better, and I'm way excited to go over 400 lightyears per warp than around 100. This will make getting to distant systems much easier. I still need to add photos/video. I'll do that as soon as I can. I may not have as much time to update now because school has started, but I'll update as much as I can. So I made some videos and took some photos finally! In other news, the devs released an update that has made frigate missions more lucrative. They take longer now, and require a bit more fuel, but I definitely appreciate the increased gains. I made 14 million units today just from three frigate missions! I also started farming today! From what I’ve seen online, farming is the best way to make money, and I already have started setting up my farm in such a way that it should be very lucrative. For the time being I’ll need to put most of what I gather from farming into expanding my farm and farming facilities, but once it’s all set up I should be rolling in the dough. I’ve put the Awakening quest on hold for now. I’ll get back to it when I’m ready. I’m also on the hunt for an S-class fighter with (hopefully) 30+ inventory slots. And when I stumble across a frigate I want I buy it. I’m planning on eventually having a full load of frigates in my fleet. I believe the cap is 25, but I’m not sure as yet. Sounds about right as that would give me five of each type. My farm is coming along nicely. I have everything up and running to make Living Glass, and I made quite a bit today. And then I sold it all! From that alone I made over 5 million units. Plus I made just over another million from a frigate mission. Starting tomorrow my farm should be ready for me to make Microprocessors, which I can sell for nearly a million units a pop. I think I should be able to make about 4 or 5 of those per day, plus about 10 or so Living glass. If I'm right, that would be that I could make about 10 million units per day just from my farm alone. I'm shooting for about 50 million units so that I can hopefully find and buy an S-class Fighter with thirty or more slots. I'm currently at 27 million. Once my farm is finished (tomorrow), I'll probably get back to the Awakening quest. I completed the Atlas Path storyline a few nights ago. It was...interesting. Nowhere near as good as the Awakening storyline, but it did teach something about the Atlas and the nature of the NMS universe. So I'm working on the Awakening storyline again. I have to build up my rank with the Merchant's Guild to progress, and I have no idea how high my rank needs to be. If it makes me go all the way to the highest rank then I'm going to be miffed. I've clocked about 110 hours into No Man's Sky since the next update hit, and I'm beginning to lose interest finally. My fleet is almost complete; I just need two more trade frigates. My base is complete. I've finished the Atlas Path, and I'm making my way through the Awakening quest still (though it seems to have hit a roadblock). I'm going to keep playing until I finish the Awakening storyline, but after that I'll likely only play if someone I know hops on. It has turned into a great game though. I do recommend it to anyone who may have held off when it was initially released as it is now the game we were wanting it to be at its initial release. And if you have friends to play with then even better.